Solar Plus offers complete home design and service for all solar related systems. This starts with standard electrical engineering and application. Designs includes efficiency, sustainability and a cost effective holistic approach to all integrated renewable systems. Our smart home integration will network solar hot water, solar pv, solar ventilation, solar air conditioning, energy storage, and electric vehicle charging into a home mini grid! With Solar Plus, you put the utility grid at the back of the bus! Don't be caught in the Zombie apocalypse without your Solar Plus sustainable home design. Our goal is to make your home a "Smart Home." Click through our slideshow below of residential solar projects on Kauai. Cool your home with energy from the sun! Solar Air conditioning is a newcomer to the solar family of home and business products. Solar Plus installs Solair Hybrid AC Conditioners. Solar Attic Fans remain one of the least expensive and most cost effective ways to cool an attic or home on Kauai. 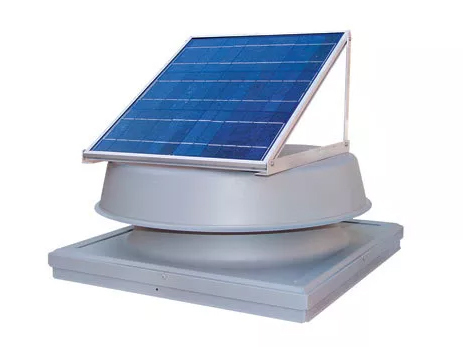 Modern solar attic fans have been engineered to fit any type of roof and let you cool a barn, loft or home directly from an open beam ceiling. Solar Plus installs “Natural Light” solar attic fans that feature different wattages and CFMs to customize to your circulation and cooling needs. With the steady drop in the price of solar PV modules, many customers have forgotten that solar hot water is the key first step in alternative energy and savings. Solar hot water can reduce the energy cost of most homes and businesses by one third! With the utilities scaling back the amount of PV allowed, it makes sense to add a separate system to heat your water. Learn more. Solar hot water enjoys the same tax credits as Solar PV and both can be installed in the same year to earn those credits. Solar Plus installs Sun Earth collectors and Solar Hot water tanks. These high quality US made collectors and tanks feature the longest warranties in the industry. Solar Plus recommends Solar hot water combined with on-demand propane heating for the ultimate in seamless hot water. Solar hot water can be installed in addition to the photovoltaic powering your home.